Your members want to be healthy and many of them are motivated to do something about it. That’s why there are more than 320,000 health and fitness related online apps. And if you’re like a number of health plans, you’ve invested in providing wellness programs for your members, even offering incentives to encourage their participation. If you haven’t, there are some good reasons why you should. Your members already trust you to provide supplemental health information to help them enjoy better health and reach their goals (like losing weight, quitting smoking, managing diabetes, or engaging with preventative health screenings). Making wellness programs easily accessible via your platform creates an ideal opportunity for you to promote the tools and resources that you’ve developed to support your members. And the best part of it is that an effective wellness program, especially one that is also mobile-enabled, can also increase member engagement with your platform. Members who participate in your wellness program are more likely to understand and utilize your services, and potentially lower your operating costs. Members only interact with their plans when they need something. In fact, they could go months without visiting your platform or using your services. In the meantime, they may have forgotten about the value you provide—and how to get what they need. If you have a wellness program you can deliver via email, text message, or your mobile app, you have the perfect opportunity to communicate with your members on a regular basis. You can create a steady drip of valuable content that draws them back to your website or app. By providing insights and access to wellness programs that help your members reach their health-related goals, you’re increasing the value they get from their relationship with you. Even the members who you might consider “disengaged” are more likely to rate you higher on satisfaction surveys if they take advantage of their wellness program. And since the program gives you more opportunities to guide them in the management of their care, when they do need care, they can make better use of your engagement platform. This is especially true if you’re offering attractive incentives (like free tech wearables, cash rewards, or discounted memberships in subscription based health services) and using your platform to provide information and track participation. As you provide your members with a steady stream of health and wellness tips, you’ll naturally create opportunities to make recommendations. Maybe some of your members want help to quit smoking. In addition to medically sound, data-driven recommendations, your wellness program could talk about smoking-related illnesses they may want to screen for, withdrawal symptoms to pay attention to, the most cost-efficient prescriptions, or over-the-counter solutions. Your members are looking for health and wellness tips because they want to be healthy. And preventive care and eliminating gaps in care is an important part of maintaining their long-term health. So as your members look to you for reliable information, you’ll have plenty of appropriate ways to talk about care. Because wellness programs enable you to distribute important health-related information to your members, they can also encourage your members to come to you first when they have questions about their health. Instead of Googling their symptoms, your members will open your app or head to your website, where they know they’ll get insights they can trust and recommendations about what (if any) care or services they should seek out. The more your wellness program establishes your expertise, the more this scenario can become the norm. Just having a wellness program isn’t enough to dramatically increase member engagement. 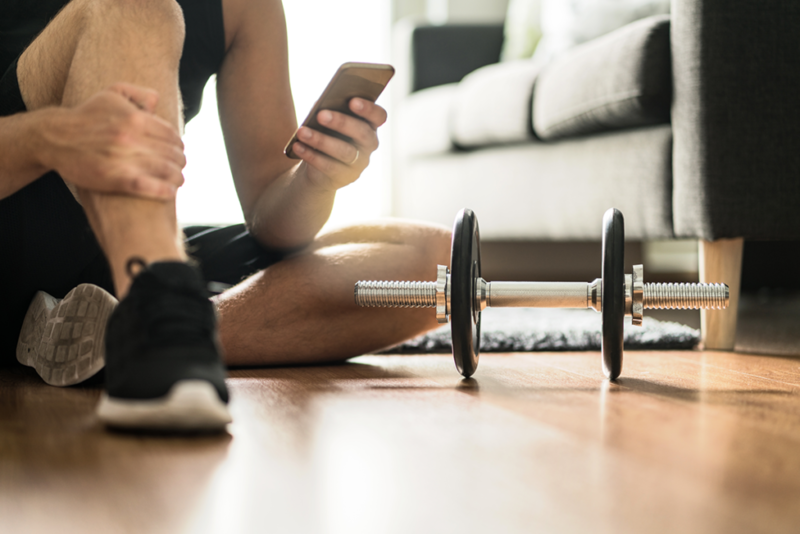 But it’s an essential component of your member engagement strategy, and with the help of mobile engagement tools like text messaging and push notifications, a wellness program can significantly increase the number of interactions you have with members, and it’ll help them see you as an important part of their health journey. Get your free copy of our new member engagement checklist to learn more ways to reduce costs, increase member satisfaction, and improve your compliance scores.